North Dakota has 25 designated opportunity zones, all of which are low-income communities. North Dakota did not designate any eligible non-low-income contiguous tracts as opportunity zones. North Dakota is highly rural. Statewide, 62 percent of their census tracts are located in rural areas. 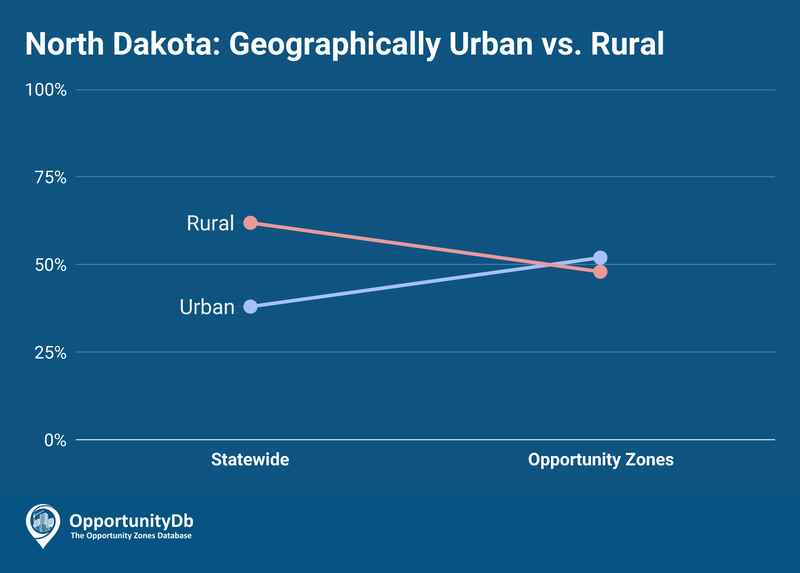 But unlike most states, North Dakota nominated a higher ratio of urban areas as opportunity zones, concentrating many of their zones in Bismarck and Fargo. As a result, 52 percent of their opportunity zones are located in urban areas.